To be honest, it seemed like only crappy news came from the entertainment world this week, nothing I really want to talk about here. But hey, we got a new album from St. Vincent, and a collaborative song between two of my faves, Hamilton Leithauser and Angel Olsen, "Heartstruck (Wild Hunger)", so a couple of bright points! That Leithauser-Olsen song has me wishing for a full album between the two; if that happens, check it out over at my Upcoming Releases page! 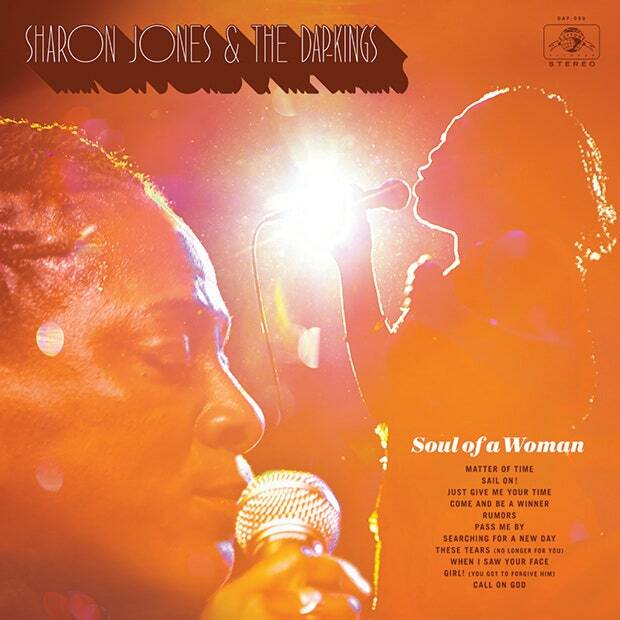 This week, the final album from Sharon Jones & The Dap-Kings, Soul of a Woman, was announced. The frontwoman of the band, Ms. Sharon Jones, got a late start to her music career, releasing her first single at the age of 40. It wouldn't be another six years until she released her first album with The Dap-Kings, but the group made the most of their time together, releasing five albums over 12 years. Jones passed away late last year following a battle with cancer and stroke. She had been hard at work on this last album, which was announced on Tuesday, along with a new track, "Matter of Time". Soul of a Woman is set for release on November 17.